There are no items in your shopping bag. Yet. 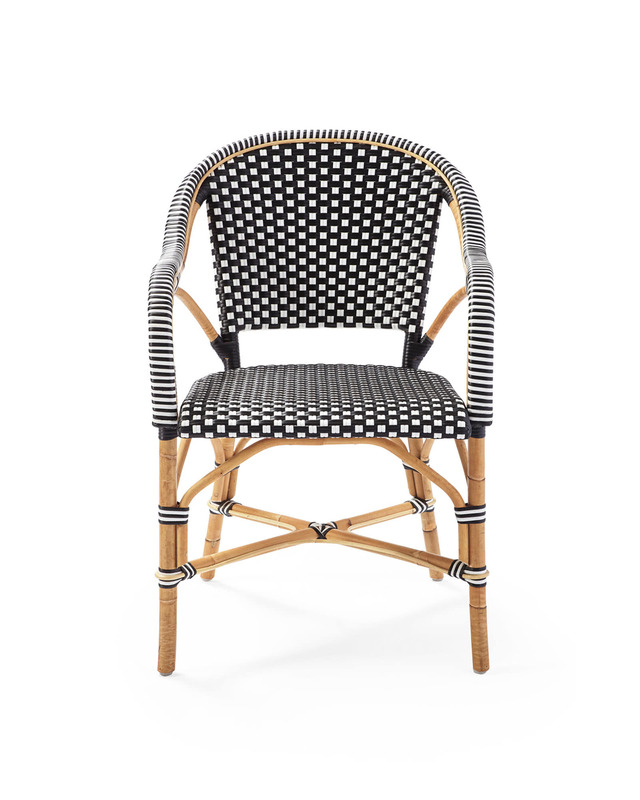 Riviera ArmchairRiviera Armchair, Black alt="Riviera Armchair, Black"
Print The classic 1930s European bistro chair, reinterpreted. 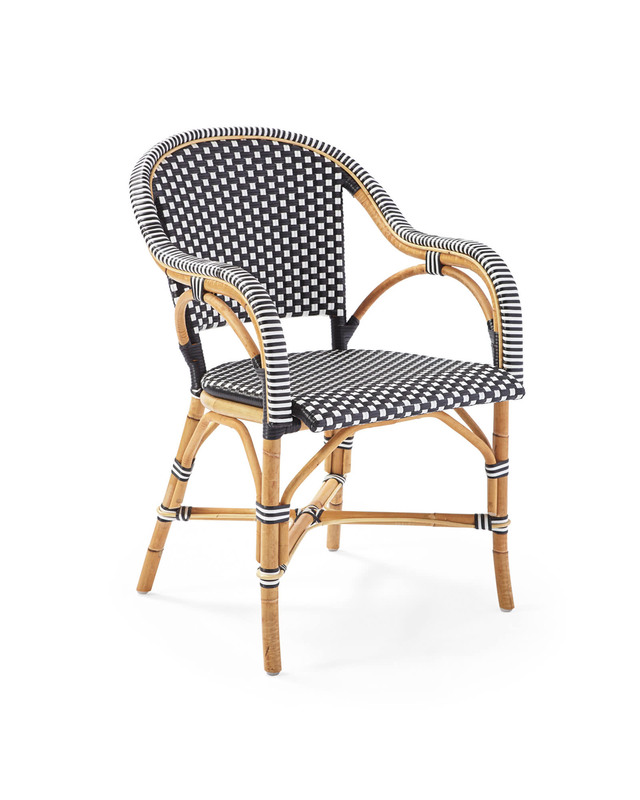 Handcrafted of lightweight rattan and woven plastic seats, our take is fabulously family-friendly and great for the kitchen or the patio. (Just remember to store it indoors when the rains come.) 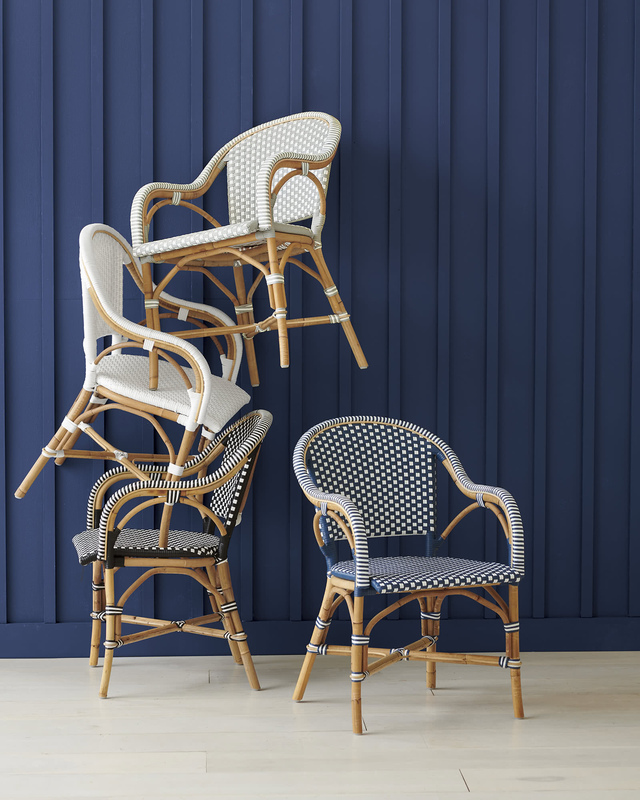 Following a time-honored technique perfected by the French, we’ve stretched and shaped the frame by hand, creating subtle organic marks on the natural rattan. For added versatility, a slight variation in how the colors are woven make our entire Riviera Collection prime for mixing and matching – pair different silhouettes for a fun and lively look. 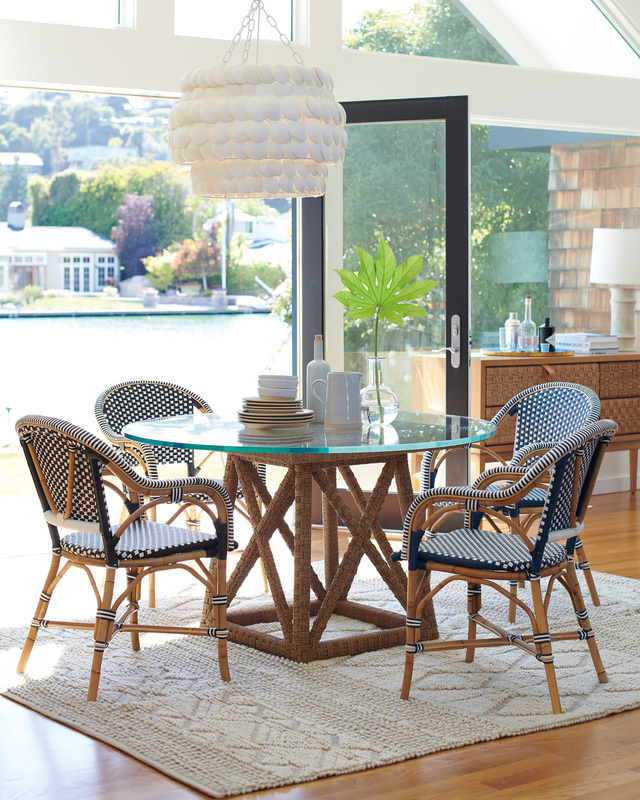 Want Riviera chic year-round? Give our Outdoor Riviera a try. Sustainable rattan and woven plastic. Store indoors when not in use, to preserve its beauty. Don’t leave chair exposed to inclement conditions. 22.5”W x 25” D x 34” H overall. This item ships via FedEx Ground and arrives within 5-7 business days of order receipt. We want you to be thrilled with your purchase. If you're not completely satisfied, we’ll gladly offer you an exchange or refund of the merchandise price within 30 days of receipt of product. If you have questions about shipping, delivery or returns, please call our Customer Care team at 866.597.2742 or email us at customercare@serenaandlily.com. Whoops! Please select the items you want to purchase. Be the first to know about new collections and exclusive offers. Plus receive 15% off your first purchase! In the meantime, explore our collection and find something fabulous. Looks like you're already on our email list, so you're not eligible for our new subscriber offer. But keep your eye on your inbox for news about our latest loves and upcoming sales.